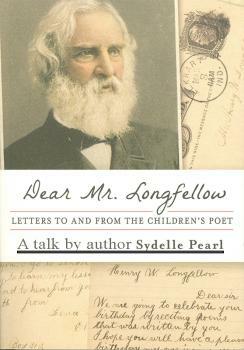 Who: Author Sydelle Pearl talks about her Longfellow biography. When: Tuesday, June 4, 2013, 6:00 to 8:00 p.m. Hear how author and former Boston area resident was inspired to write her unique biography, Dear Mr. Longfellow: Letters to and from the Children’s Poet. Follow her research journey to find the story behind a special gift made for Henry Wadsworth Longfellow by the children of Cambridge to celebrate the poet’s 72nd birthday. A former children’s librarian, Pearl has been a professional storyteller for twenty years. She gives presentations at schools, libraries, and festivals. Since we’ve been working really hard these past few weeks to open the Cambridge Room, we wanted to share the below article by our archivist, describing both the work involved in preparing for the opening and the kinds of services researchers can expect. The article was originally published in the June edition of On and Off Broadway. 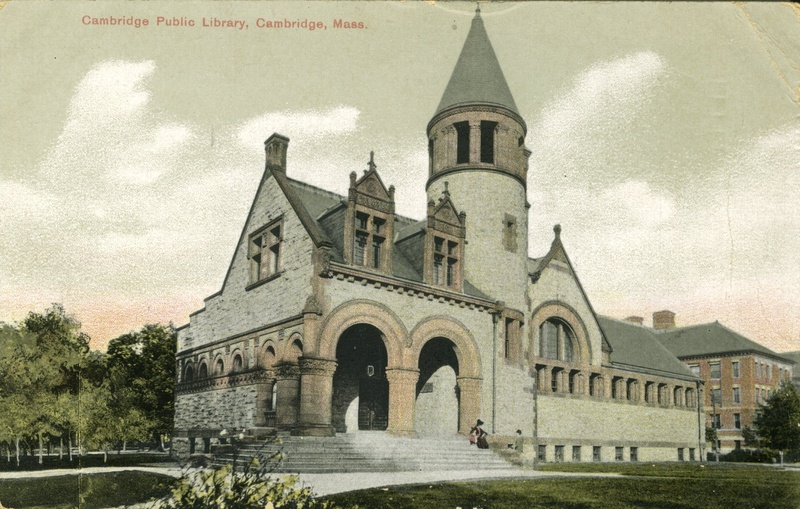 As the first archivist of the Cambridge Public Library, I have the exciting job of building the library’s archives program from the ground up; an archivist’s dream! Developing a successful research repository requires assessing and organizing materials, implementing preservation and conservation procedures, creating research room policies, and engaging the community – all of which I have been doing for many months in preparation for the Cambridge Room to open this summer. For the first time in its 122 year history, the library’s archival collections are under the care of a professional archivist – a specialized librarian with graduate training in archives management and history. We work to protect cultural heritage, in the form of manuscripts, photographs, diaries, letters, maps, rare books – all the elements both significant and seemingly insignificant – that form a holistic view of our community. In addition to the preservation of the dominant culture, archivists work to ensure that all members of a community, especially those who are often overlooked, are equally represented in a repository’s collection. It is about giving equal access to materials and creating a welcoming space for the interpretation of history. Archivists help patrons bring their own meaning to the discoveries they make, and to illuminate the connections between archival collections and patrons’ own lives. All of which is my role as the archivist for the Cambridge Room. Take, for example, a thin, worn book I found among the Cambridge Room Collection. Its nondescript cover was falling apart and its pages were yellowed and curled at the edges. I began to evaluate the book to determine its relationship to the history of Cambridge, a process I have done with everything in the collection. The title, Dickdook Leshon Gnebreet, gave me few clues but I did notice the quality of the paper and type and realized that it was a book printed well before the 19th century. I discovered that this thin volume, whose title translates to A Grammar of the Hebrew Tongue, written by Judah Monis, instructor of Hebrew languages at Harvard College, and printed by Jonas Green in 1735, is the first book in North America printed with Hebrew type. The book is a significant text documenting the history of printing in Colonial America and one of the treasures of the Cambridge Room Collection. In order to preserve the book for future use, I cleaned the pages with a dry eraser to remove dirt, used a museum-quality vacuum with controlled suction to remove dust and other particles that will eventually deteriorate the paper, flattened the curled pages with a bone folder, and custom fit it to a rare book box made with acid-free, ph neutral board. It now sits securely in the temperature controlled stacks waiting to be used by any patron who wishes. My work as an archivist extends to the digital arena as well and includes preserving and making available records of historical relevance that exist electronically and the various digital media that has yet to be invented, along with creating digital surrogates of original objects for people all over the world to search and view. Managing digital objects means that archivists must have skills that extend into the IT world, which is both challenging and exciting. One of the most important projects I’m working on is digitizing the Cambridge Chronicle, the oldest continually published weekly newspaper in the United States. The library is the only repository that has saved the full publishing run of the Chronicle and once the project is complete, patrons will have full search access to all the articles published between 1846 and 1922 (the editions that have no copyright restrictions). Think of all the obituary, marriage, and birth announcements that genealogists and family historians will be able to search. Cambridge’s civic, political, and social history will be available to anyone interested. From local coverage of major historical events (abolition, the Civil War, reconstruction in the South, immigration, World War I, women’s suffrage, and prohibition) to the everyday life of Cantabrigians whose stories have yet to be uncovered – all these articles will be accessible to anyone online for free. 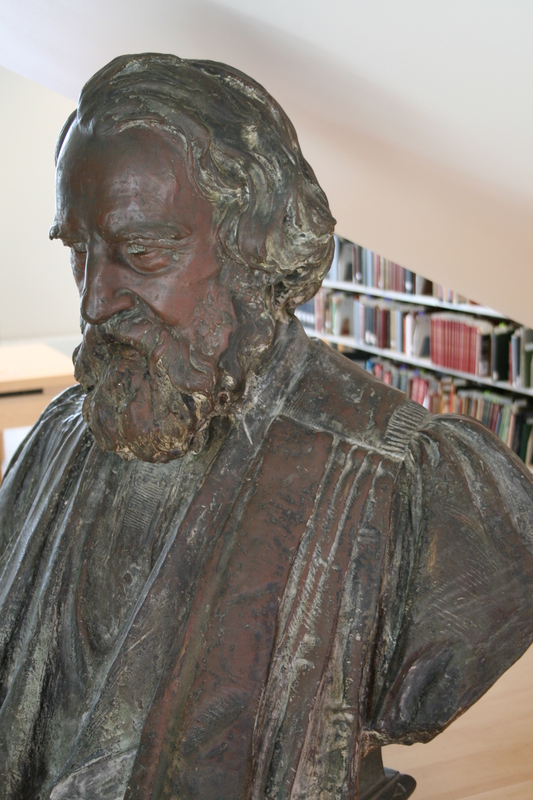 When the Cambridge Room opens this summer, you will be greeted by the original bronze bust of Henry Wadsworth Longfellow sculpted by Daniel Chester French (of Lincoln Memorial fame) as you enter a lovely, fully equipped research space. 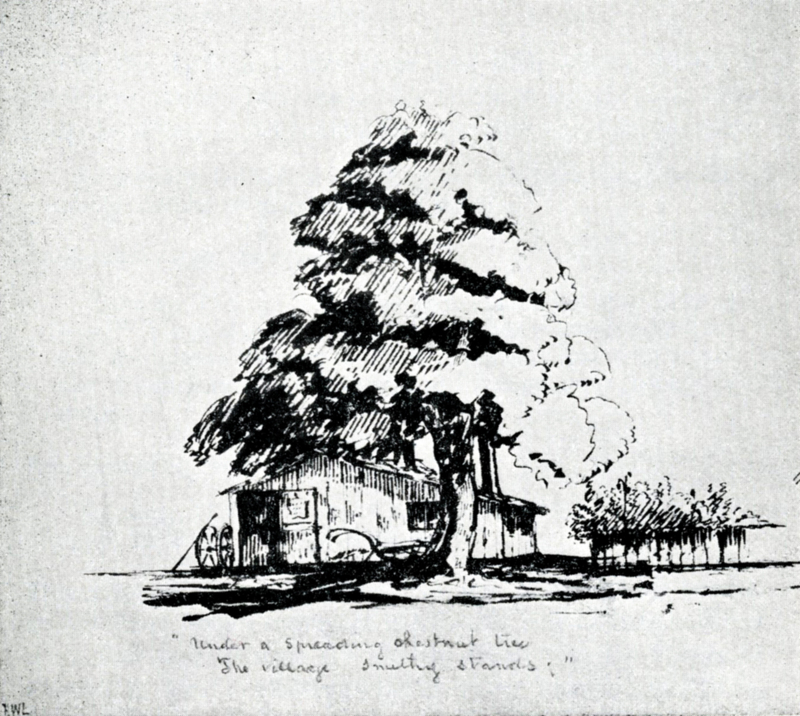 After storing your personal belongings in an individual locker, you can browse the reference collection, which includes books such as Lucius Paige’s seminal work History of Cambridge, Cambridge City Directories beginning in 1846, and genealogical resources related to Cambridge families. 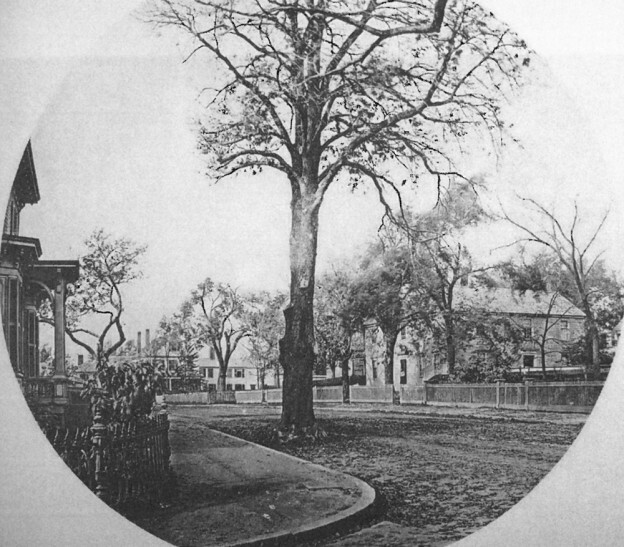 Manuscript collections, like the Cambridge Civic Association and the Christian East End Union are located in secure storage, and will be brought to patrons one at a time. Certain materials require special handling, such as the use of white curator gloves in order to prevent oil from fingerprints from damaging materials. Not everything will be available right away because some collections still need to be organized, cataloged, and cleaned. The existing collections will be made available as quickly as possible and I will be working to curate more unique materials to add to the depth of the collection. And, of course, I will be available to help you with your research needs.